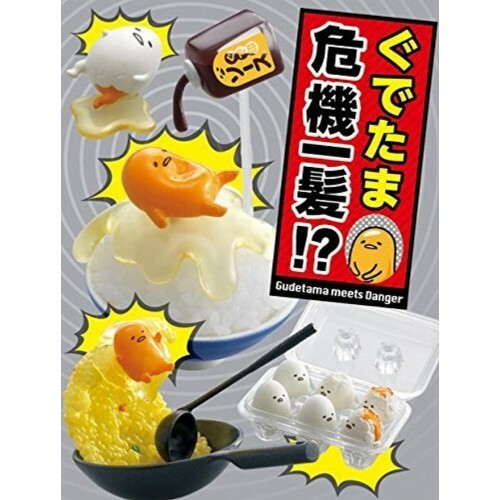 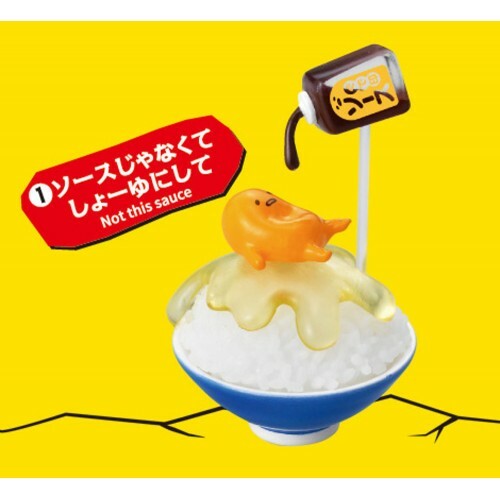 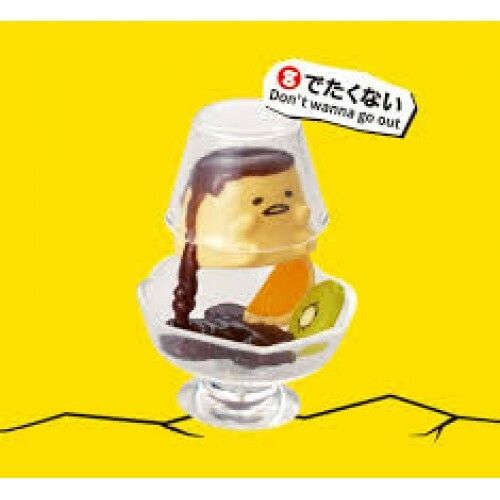 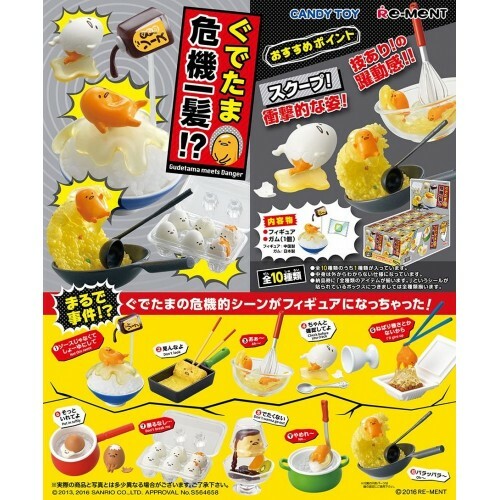 Gudetama Meets Danger from Re-Ment, import from Japan. 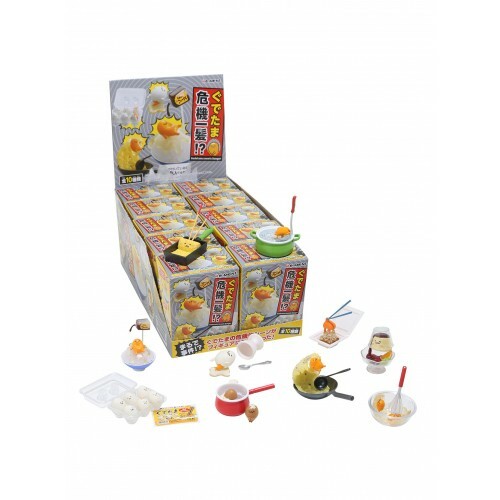 You will receive one (1) random highly detailed miniature set from a box of 10 different designs. 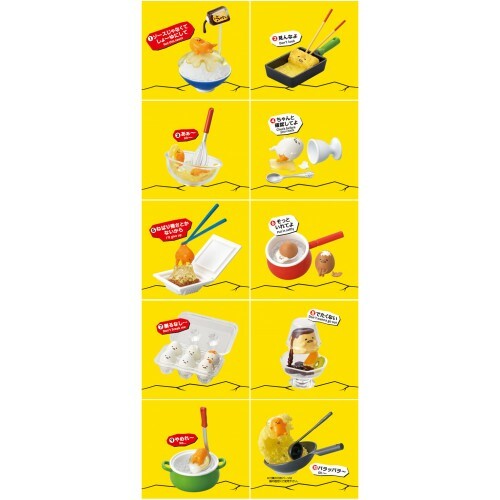 Each set includes multiple miniature items. This is a blind box, that means it is a surprise what theme you will get and we cannot tell what is inside either!